Do you know why your prospecting plan is failing? I bet I do! 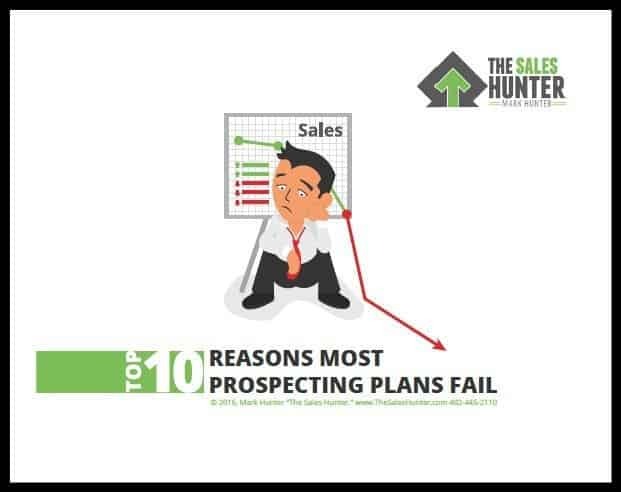 That’s why I put together this in-depth eBook specifically on the 10 reasons most prospecting plans fail. I’m giving this eBook away, and I have no doubt you will pick up some key insights on how you can transform your prospecting plan for greater success! Stop failing with prospecting and start succeeding!